Cut out the white cardboard into a long strip for the hat. And also for the bunny ear shapes. – – cut out two smaller ear shapes from the pink cardboard, and for the nose too. Stick the pink ear pieces onto the white ear pieces. Glue the ice cream sticks to the back of the ears. 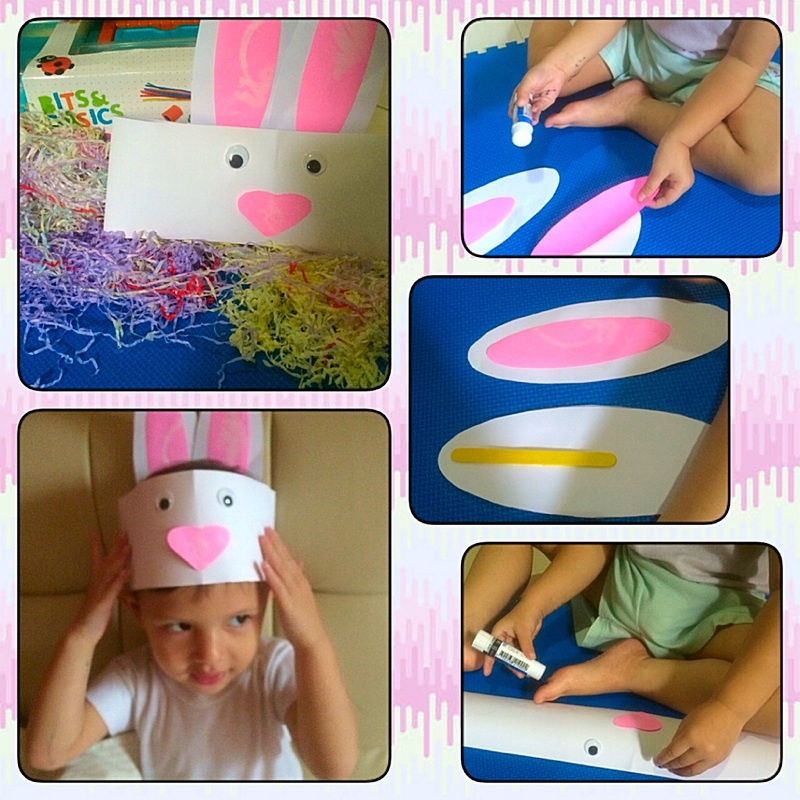 Attach the ears to the paper hat. Stick the googly eyes and the nose on the hat.